Most of the out of town visitors were staying in the Fairfield Inn on N. Monroe St. After the reunion, we held a pool/patio party at the motel. All were invited, and some of the local people showed up. We had a good time, with leftover food and much talking and laughing. 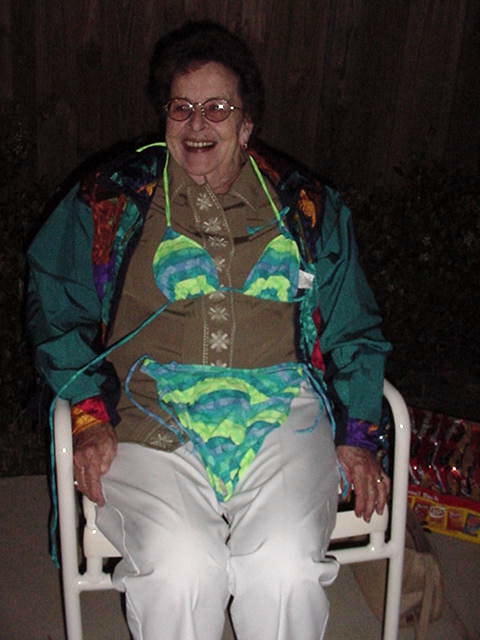 The highlight of the party though, was Aunt Zenita with her bikini. See for yourself. So make plans for the Pool Party - 2003 now.